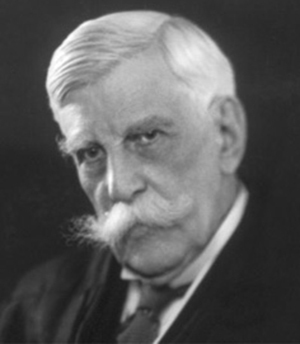 KGB Report by Kevin G. Barkes - Oliver Wendell Holmes, Jr. Quotes of the day: Oliver Wendell Holmes, Jr. But as precedents survive like the clavicle in the cat, long after the use they once served is at an end, and the reason for them has been forgotten, the result of following them must often be failure and confusion from the merely logical point of view. Deep-seated preferences cannot be argued about- you cannot argue a man into liking a glass of beer- and therefore, when differences are sufficiently far reaching, we try to kill the other man rather than let him have his way. But that is perfectly consistent with admitting that, so far as appears, his grounds are just as good as ours. Every opinion tends to become a law. For the rational study of the law the blackletter man may be the man of the present, but the man of the future is the man of statistics and the master of economics. Great cases like hard cases make bad law. For great cases are called great, not by reason of their importance in shaping the law of the future, but because of some accident of immediate overwhelming interest which appeals to the feelings and distorts the judgement. I can't help preferring champagne to ditch water- I doubt if the universe does. I confess that I do not understand the principle on which the power to fix a minimum for the wages of women can be denied by those who admit the power to fix a maximum for their hours of work. I despise making the most of one's time: half the pleasures of life consist of the opportunities one has neglected. If I were dying, my last words would be, Have faith and pursue the unknown end. It is only the present danger of immediate evil or an intent to bring it about that warrants Congress in setting a limit to the expression of opinion where private rights are not concerned. Nature has but one judgment on wrong conduct- if you can call that a judgment which seemingly has no reference to conduct as such- the judgment of death. Our test of truth is a reference to either a present or an imagined future majority in favor of our view. Some of her answers might excite popular prejudice, but if there is any principle of the Constitution that more imperatively calls for attachment than any other it is the principle of free thought- not free thought for those who agree with us but freedom for the thought that we hate. State interference is an evil, where it cannot be shown to be a good. The chief end of a man is to frame general ideas- and... no general idea is worth a damn. The law, so far as it depends on learning, is indeed, as it has been called, the government of the living by the dead. To a very considerable extent no doubt it is inevitable that the living should be so governed. The past gives us our vocabulary and fixes the limits of our imagination; we cannot get away from it. There is, too, a peculiar logical pleasure in making manifest the continuity between what we are doing and what has been done before. But the present has a right to govern itself so far as it can; and it ought always to be remembered that historic continuity with the past is not a duty, it is only a necessity. The most stringent protection of free speech would not protect a man in falsely shouting 'fire' in a theater and causing a panic. The question in every case is whether the words used are used in such circumstances and are of such a nature as to create a clear and present danger that they will bring about the substantive evils that Congress has a right to prevent. It is a question of proximity and degree. When a nation is at war many things that might be said in time of peace are such a hindrance to its effort that their utterance will not be endured so long as men fight and that no Court could regard them as protected by any constitutional right. There's a great deal of difference between a little bit and a lot. Vanity is the most philosophical of those feelings that we are taught to despise. For vanity recognizes that if a man is in a minority of one we lock him up, and therefore longs for an assurance from others that one's work has not been in vain. Whatever disagreement there may be as to the scope of the phrase 'due process of law' there can be no doubt that it embraces the fundamental conception of a fair trial, with opportunity to be heard.